Las Madrecitas is an auxiliary of the Charitable Children’s Guild of the Orthopædic Institute for Children, located in downtown Los Angeles. 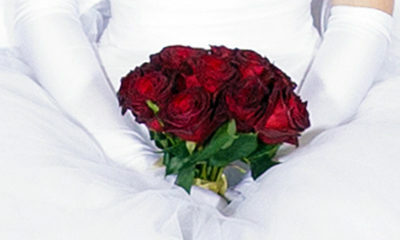 The organization began in 1956 through the efforts of Mrs. Harold D. Leslie, Jr. The original membership included twelve ladies. We have grown over time and have an average of 50-75 active members. In 1965, Las Madrecitas took on the sponsorship of Las Niñas de las Madrecitas, a junior auxiliary of high school girls. Club membership is open to any woman who is interested in the aims and purposes of this Auxiliary and who meet the requirements of the Auxiliary. A prospective provisional meeting is usually held in January or February. The object of this organization shall be to promote the welfare of children, through public relations, volunteers, and financial assistance in cooperation with the Charitable Children’s Guild of the Orthopædic Institute for Children. Las Madrecitas is proud of its long history and its record of service to Orthopædic Institute for Children. 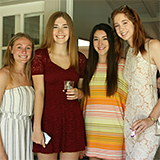 Las Madrecitas also promotes the importance of community service in the Palos Verdes area. 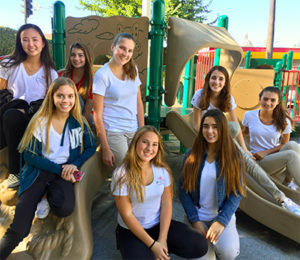 If you are a rising 7th, 8th, 9th or 10th grade girl looking for an opportunity to volunteer, make new friends, and explore leadership opportunities, the Las Niñas Experience provides it all within a Mother-Daughter group like none other in the South Bay. We are unique. 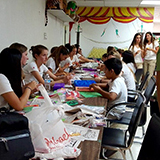 A local organization with a rich tradition, Las Niñas and Las Madrecitas, (our mothers’ organization which sponsors us), has a 60+ year tradition with Orthopaedic Institute for Children (OIC). OIC’s doctors and staff know us by name, and include us in special initiatives to educate us about Children’s Orthopaedics. If you are considering a career in medicine, OIC is a great place to be! We volunteer at the Thrift Shop and inside the hospital. We volunteer in the waiting room making lanyards with patients, coloring with them, and reading stories. Each month, we host play dates with the children at OIC’s playground on its downtown LA campus. Each summer, we travel to OIC ‘s Calexico Clinic, which is a real highlight of the Las Niñas Experience. 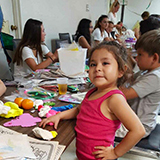 Las Niñas volunteer at Camp Escapades for Pediatric Therapy Network, Palos Verdes Art Center, Pointe Vicente, and community day care centers to name a few. Las Niñas bake cookies for local high schools and retirement homes and engage in toy drives, See’s Candy sales, and other events in support of OIC and our community. We serve Orthopaedic Institute for Children (OIC) through volunteerism and philanthropy. We volunteer at OIC’s downtown campus with its young patients and the children in the community. We participate in toy and school supply drives, raffle ticket and Sees candy sales and other fundraising activities. We aim to support OIC’s mission to provide outstanding care for patients, regardless of ability to pay and advance care worldwide through medical education and scientific research. We make fleece no-sew blankets to give to OIC’s community, and also to the children at its Calexico Clinic. This Summer day trip takes us by bus to Calexico, California with OIC doctors and staff to deliver the blankets we’ve made, and spend time with patients while they are waiting for care. The Calexico Trip is truly a highlight of our time spent in Las Niñas. 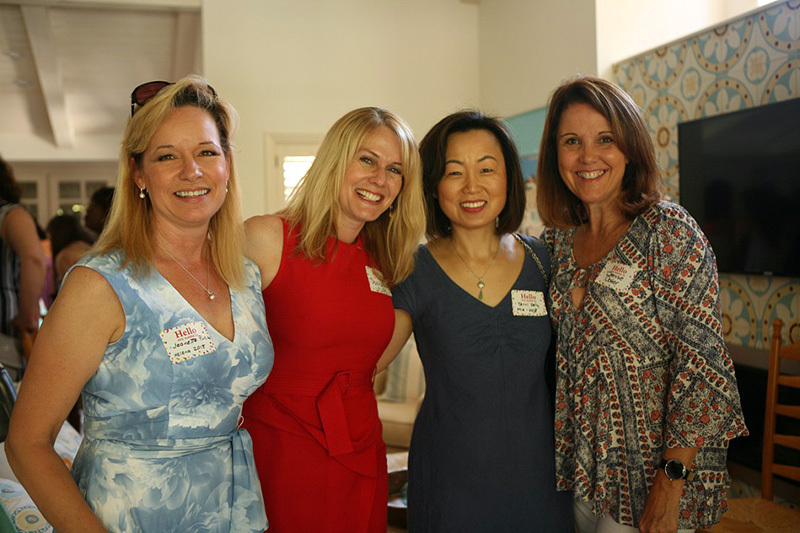 We volunteer in the South Bay, supporting Palos Verdes schools and events, Pointe Vicente, PV Art Center and many other organizations. We work in the community, bake cookies, assist as camp counselors, and in day care facilities. We serve on the Las Ninas Board in a number of elected and appointed positions. There are a variety of leadership opportunities in Las Ninas, from President, to Historian to VP of Social Marketing, to Big and Little Sister Chairs. Las Ninas offers opportunities for all types of personalities and skill sets. Our members earn acceptance into CSF, NHS, and competitive colleges and universities looking for applicants with leadership, genuine commitment, and depth of involvement. We, as Seniors, have two events which our membership and Las Madrecitas hold for our families: the Evergreen Ball and Fashion Show. Both honor our relationship with Orthopaedic Institute for Children and the dedication of our Senior families. At the Ball, Dr. Scaduto, the President of OIC, personally presents a medallion to each Senior to thank her for her service. In the Spring. our Fashion Show features our Senior “models” as they help raise funds for OIC. 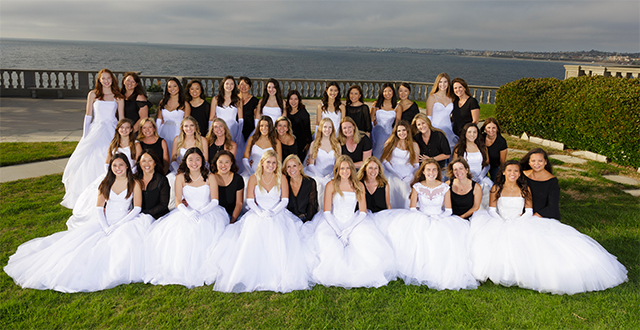 Moms and daughters support these events, which are among the most beautiful and celebrated in the South Bay. Our moms put in long hours to hold these Senior events that celebrate our unique relationship with OIC and the commitment of our families. 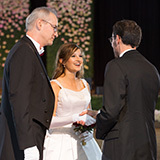 The mission of Orthopaedic Institute for Children (OIC) is to provide outstanding care for patients with musculoskeletal disorders and through the support of the Orthopaedic Foundation, to provide care for children regardless of ability to pay and advance care worldwide for all musculoskeletal patients through medical education and scientific research. Las Madrecitas - Las Niñas © Copyright 2014-2018. All rights reserved.